Charak institute of pharmacy (CIP) is a pioneer pharmacy institute of Madhya Pradesh. 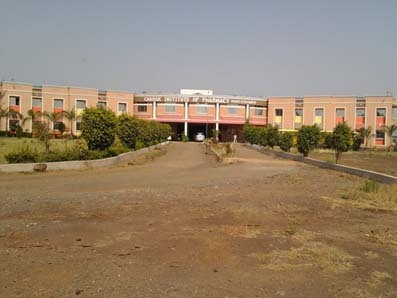 The institute is situated in Mandleshwar, belonging to tehsil Maheshwar and comes under judiciary of Khargone district. Draun Shiksha Samiti established it in the year 2006 with a view to provide quality education in the field of pharmaceutical sciences. Pharmacy Council of India (PCI), New Delhi. All India Council For Technical Education (AICTE), New Delhi approves this institute to run Pharmacy Course in the Nimar Region. The institute is affiliated with Rajiv Gandhi Proudyogiki Vishwavidyalay (RGPV), Bhopal (M.P. ).Director of Technical Education (DTE) regulates the counseling and admission procedures for admission of B.Pharm. Students. The institute has a total of 3.98 acres land area The college building has 3600 m2 built up area exclusively for B.Pharm. (UG) course. Further, about 600 m2 area is planned to construct exclusively for M.Pharm. (PG) course.The institute is fully loaded with well-furnished classrooms, tutorial rooms and laboratories.